More than a dozen local drivers raised the red flags months ago, detailing frightening accounts of when their parked Jeep Grand Cherokees suddenly started rolling. The electronic shifter sparked an auto recall in April, and now it could be to blame for a deadly accident involving Star Trek actor Anton Yelchin. The 27-year-old was killed after his Jeep rolled down his driveway, pinning him to a fence. 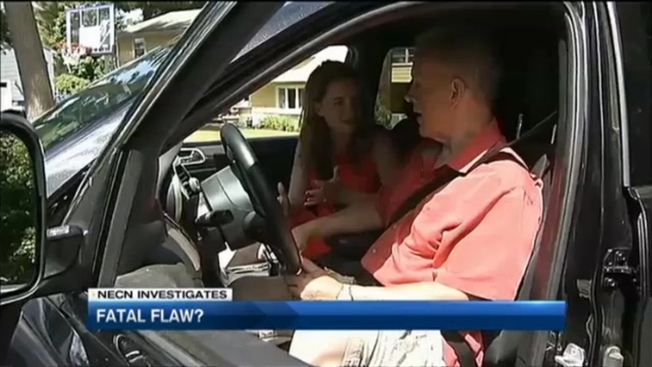 One Massachusetts man says he saw the tragedy coming and claims it was not a freak accident, but rather a potentially fatal flaw that caused it. His close call is why he believes Yelchin’s death has something to do with the electronic shifter problem in the SUV. “I saw that he had a Jeep Grand Cherokee and it was found in neutral and I said it happened - that’s what happened,” Titus said. After an investigation by the National Highway Traffic Safety Administration, Fiat Chrysler Automobiles recalled three different models and 1.1 million vehicles in April. The agency found the shifter confused drivers by not giving them clear feedback as to what transmission they were in. Fiat Chrysler issued a voluntary recall, which means it is up to the owners to bring their vehicle to a dealership to be fixed. If drivers do not heed the warning, Titus worries there could be more accidents.“A celebrity being in an accident like that is going to bring a lot of attention to this problem so maybe somebody that owns a 2014 Jeep Grand Cherokee is going to pay more attention to it now,” Titus said. Fiat Chrysler says it is too early to tell if the SUV was to blame for Anton Yelchin’s death, but the manufacturer is investigating. They are also working on a software update that will automatically put the car in park when the door is opened. The update should be available at dealerships later this summer.